A new Post and Go machine will be installed at Jersey’s main Broad Street post office in St Helier next week. 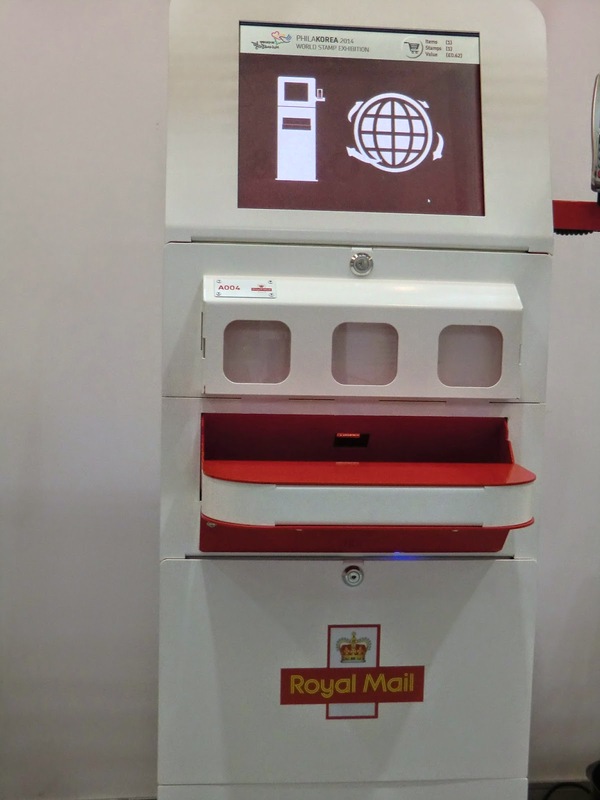 Jersey’s first static Post and Go machine, the JE02 series machine, powered by Royal Mail, will go live on Thursday 4 September 2014. The machine will vend stamps featuring Jersey’s first Post and Go design, the Jersey flag, as well as Royal Mail stamps depicting the Union flag. Both stamp designs will carry the unique location identifier ‘Broad Street’. To celebrate Jersey’s annual International Air Display which takes place on 11th September this year, the Jersey flag Post and Go stamps will be printed with special air display overprints from 11th September until 11th October. The Union flag stamps will not carry the overprints but will continue to feature the ‘Broad Street’ identifier. 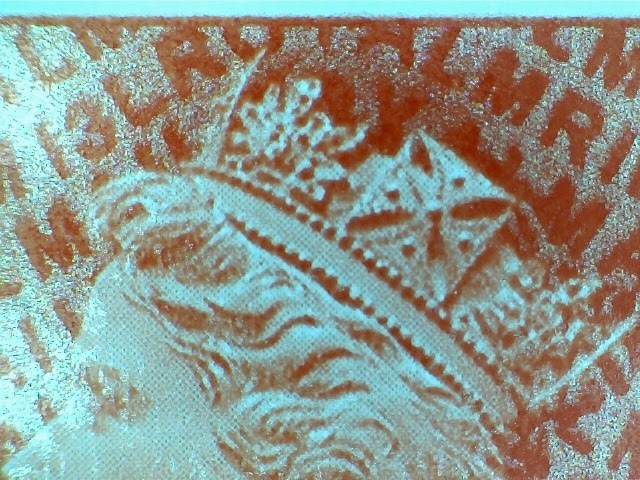 Just like Royal Mail's, Jersey's Post and Go stamps carry unique identification numbers depending on the machine and session number of where and when they were issued. All Jersey Post and Go stamps will be supplied with a dedicated receipt. 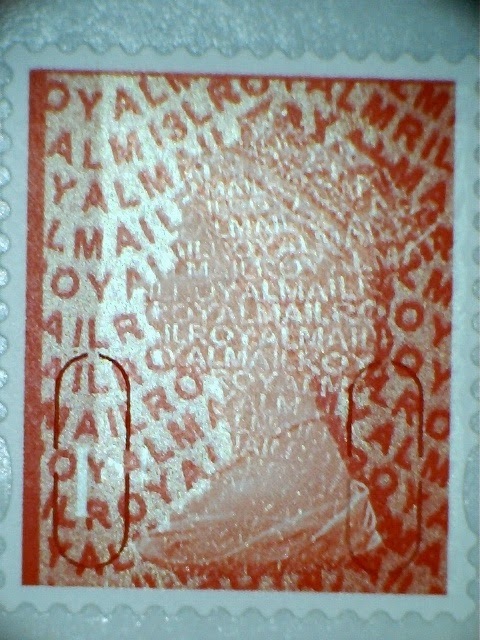 This creates a situation where a 'valid-for-posting' Royal Mail stamp is being issued by a foreign postal administration in a format in which it is not available either from Royal Mail's bureau or from any branch of the UK Post Office! 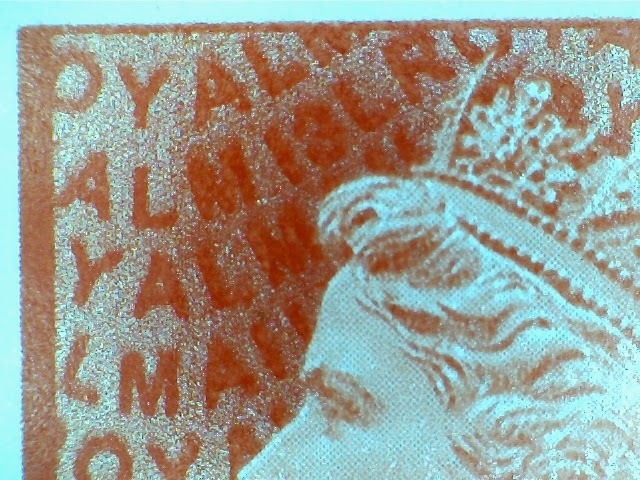 Thanks to Mike for pointing out that both the Broad Street and Air Display stamps (and a Stampex Overprint(!)) are listed on the Jersey Stamps webshop. Well, that saves you all a trip to Jersey! 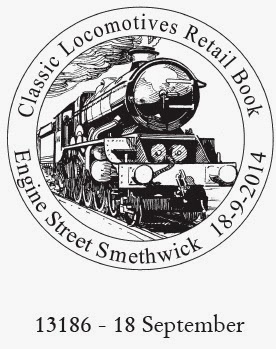 Classic Locomotives of Wales retail book will be issued 18 September. 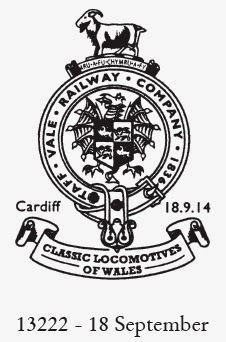 The final miniature sheet in the Classic Locomotives series (Wales) was issued on 20 February 2014, along with a prestige stamp book, Classic Locomotives of the United Kingdom, but no retail booklet was issued at that time. Royal Mail have announced that this booklet will be issued at Stampex alongside the Seaside Architecture set and miniature sheet (and the day after the Symbolic Flowers Faststamps!). The Sustainable Fish retail booklet issued 18 August will be distributed by Tallents House on the same date. 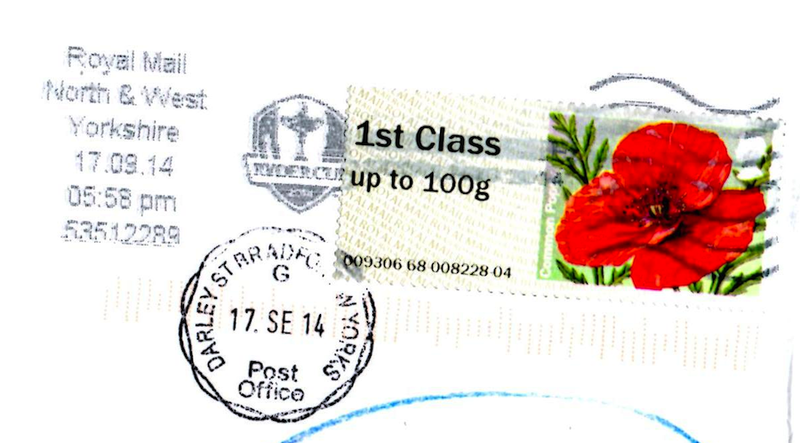 Two sponsored postmarks have been announced so far for this booklet and are shown below. The booklet contains 2 x 1st Locos of Wales stamps (LMS No. 7720 leaves the Britannia Bridge with a Bangor-to-Holyhead local train c.1930) and 4 x 1st class Machin definitives. These will have source code MCIL but we cannot be sure which year code they will have. The Football Heroes 2 booklet issued 2 days after the Locos miniature sheet had M13L but that was printed last year with Football Heroes 1. 13222 Cardiff is available from the Wales and West Special Handstamp Centre. 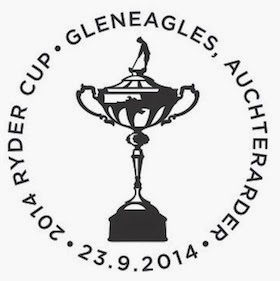 Due to the recent hospitalisation and now convalescence of a close family member there will be fewer updates here, and service from the web-shop may be slower than normal. I will use this space to add details of what we have that you may be waiting for, with the assurance that I will send orders and reserved items out to customers as soon as possible. 1. As noted in the relevant blog posts (but not yet on the website) the Great War stamps in the prestige stamp book are not the same as those printed in counter sheets. 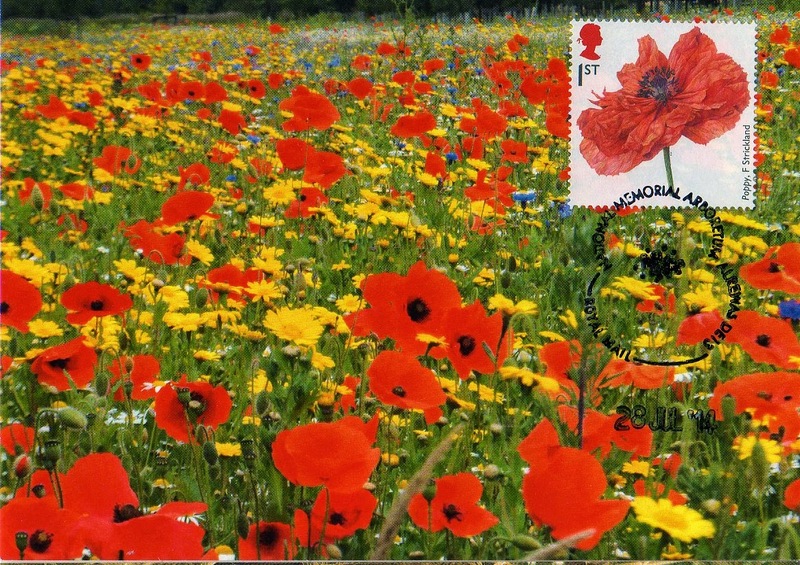 The pictorial stamps issued in sheets have two phosphor bands except for the 'Starburst' painting and 'We Will Remember Them' poetry stamps, which are all-over phosphor. We now know that all 6 pictorial stamps in the PSB have all-over phosphor which means that at least 4 will have a separate listing in some catalogues. 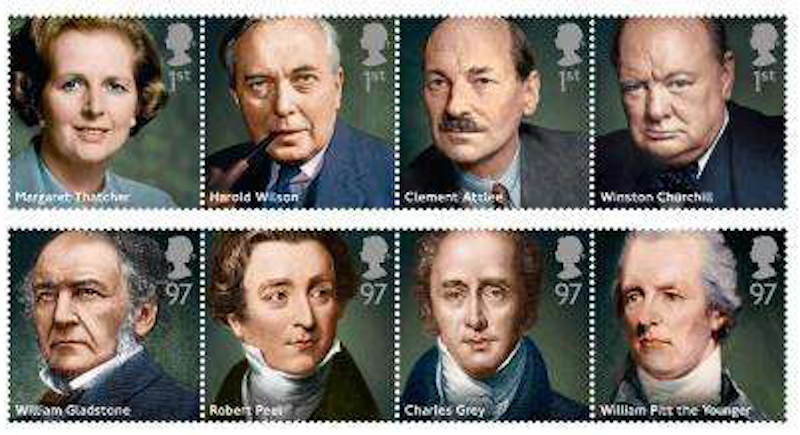 They are certainly different stamps and we now have them in stock. 2. 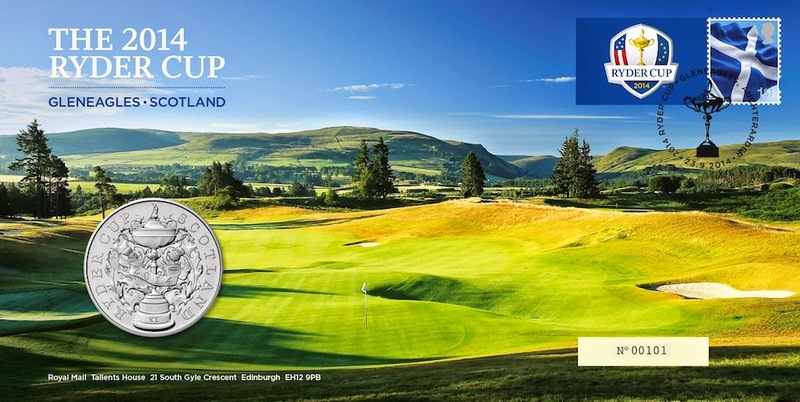 First day covers of the Machin stamps from the Great War PSB, the three new booklet/business sheet stamps issued on 31 July, and the Commonwealth Games booklets will be added to the web-shop soon. 3. More Poppy Maximum cards will also be added to the web-shop in the near future. Part of the proceeds of these will go to the Royal British Legion National Memorial Arboretum in Staffordshire. If you haven't been, it is a very impressive and moving place to be. Korean stock includes Undated and MA13 Machins from two machines, Undated Union Flags from three machines including JE01, and the Jersey Flag stamps. We also received three different covers, for these variations. Smilers stamps are arriving soon. 5. Update 20 August. BPMA Airmail exhibition opened today with new Post and Go stamps. And guess what? The brown Machins exist undated and with MA13, probably not surprising, and the blue are MA12. What is surprising is that BPMA produced a Presentation Pack as well as FDCs. But they only had 100 Packs for sale on their website !! Do they think that there are only 100 Post and Go collectors worldwide? OK, so not all of them would buy it, but at £12 it wasn't expensive and I am certain they would have sold nearer to 1,000 than 100 and thus added to the funds available for the new museum. Anyway, they are already on eBay, as are the strips of stamps. I'll not be doing any FDCs for these and don't have any stock. In my absence two new slogan postmarks have been applied. I've no precise details about these, but have several examples. 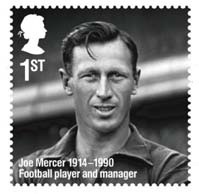 Today's post also had one of the above from Royal Mail Tallents House, with the Joe Mercer stamp. Peterborough and possibly Plymouth/Cornwall MCs, showing the two different styles, used on 7 and 8 August 2014 respectively.